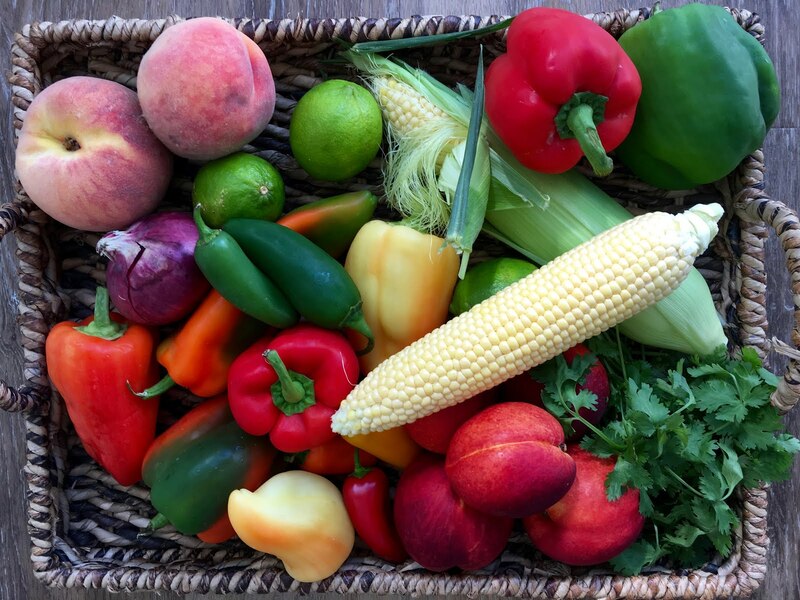 I was thinking salsa as I filled my basket with all this goodness. I have no idea where my dear dad would have picked this gadget up and I had no idea what it was but I've discovered it's a nifty 'chopper'. 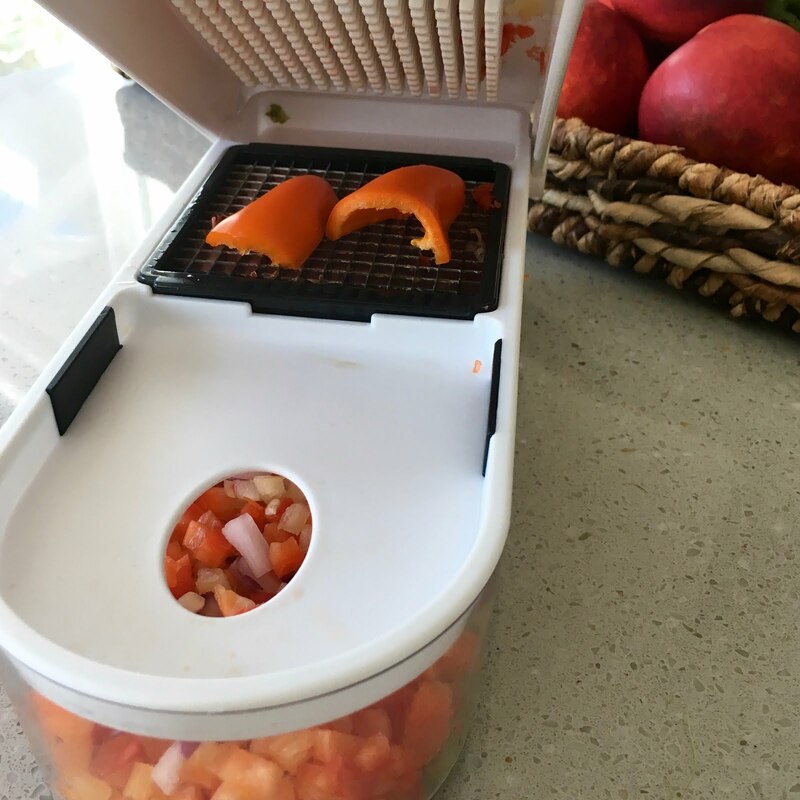 Place a piece of fruit or vegetable on the grate (and it came with 3 grates) push the lid down with a good push and the little container below will begin to fill with perfect uniform little squares of freshness. Lots of illustrations here today, but I just have to show this gadget off and then I'll give you the recipe too cause it's just too good to keep to myself. From that basket I began to chop to my heart's content. The corn was put on the grill for about 20 minutes over medium heat. 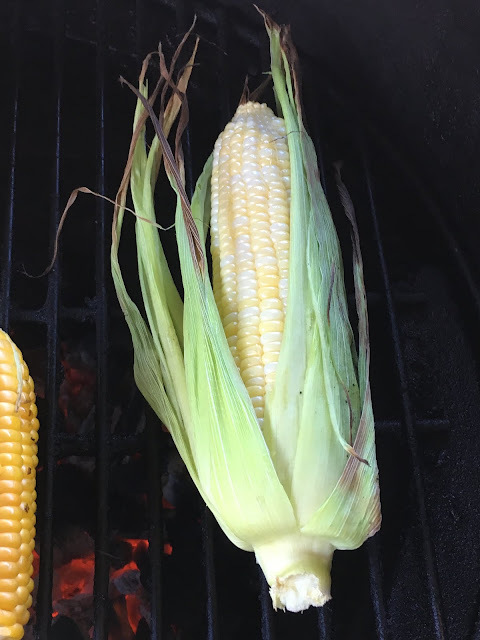 You can actually use raw corn off the cob, drained canned corn or you can just cook corn on the cob as you would on the stove top, but grilling it adds a wee bit of extra flavour that we just love. And there you have it...a bowl full of fresh salsa. To serve just put out a big bowl of corn chips or scoop chips. 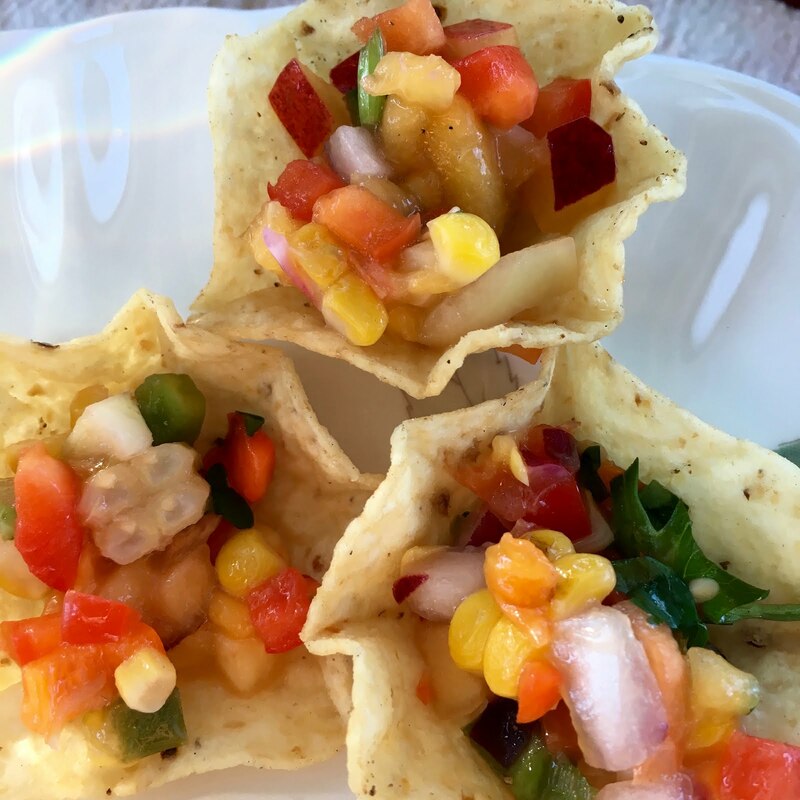 Here's the recipe that will make approximately 6 cups of salsa which will last several days in the refrigerator. Wash and dry vegetables and fruit. Cook corn to your preferred method. If on the cob, cut kernels off and allow to cool. 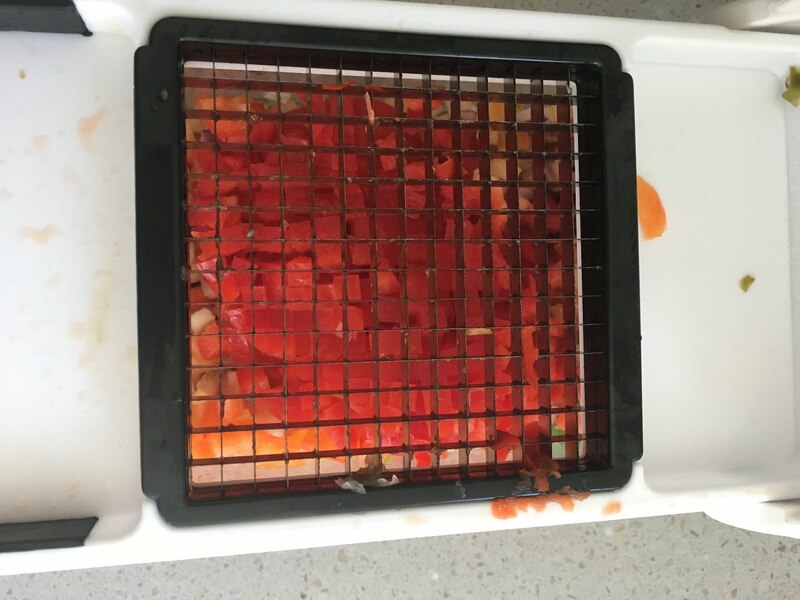 Chop all vegetables and fruit into small pieces similar in size. Stir together and add cilantro OR parsley. Squeeze juice of limes into mixture. Add sugar, salt and oil. Stir to combine. 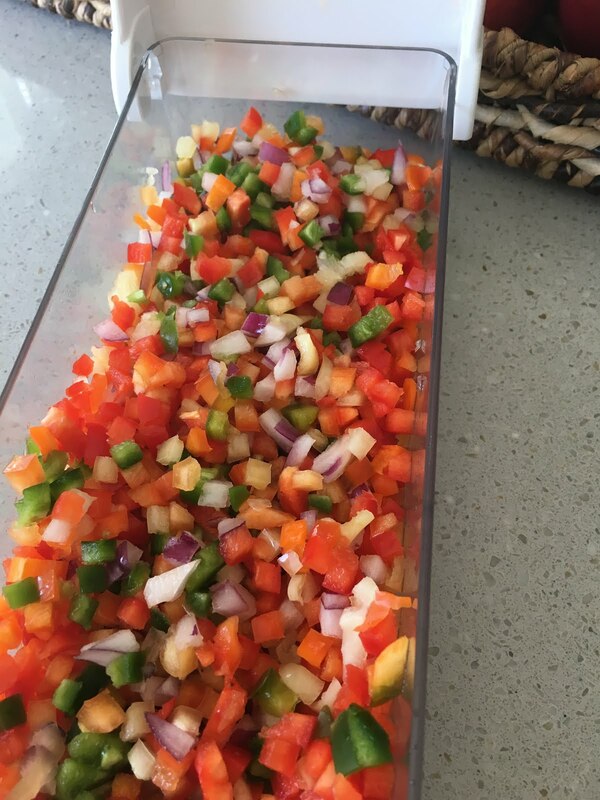 Cover and place in refrigerator for at least an hour to allow flavours to mix. 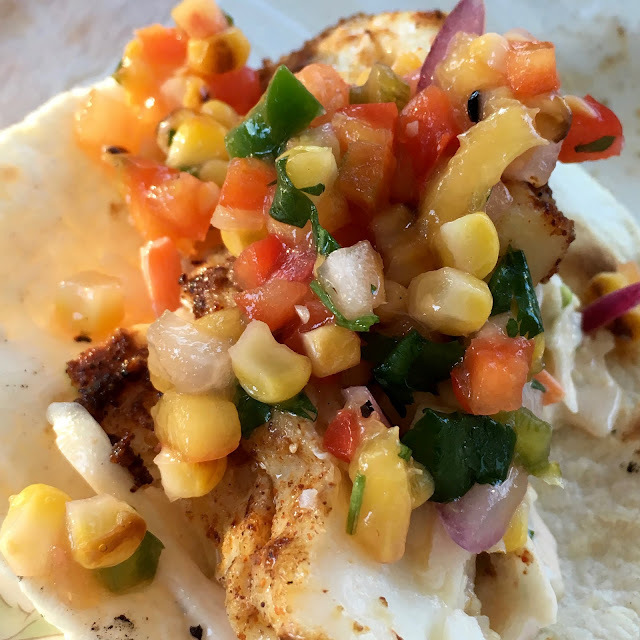 We topped Halibut Wraps with this Nectarine Corn Salsa this week. Happy labour day! All the best to all the students heading out to school this fall. Lovely sounding recipe, will definitely be giving it a go. I'm very interesting in your chopper gadget, (how easy is that!) and wonder if there might be a name on it somewhere that might give us a hint of what to look for. Wow WOW what a great little gadget. Now I'm going to be scouring Goodwill and flea markets for this: probably Cuisinart bought them all up and hid them away so we'd buy their product. And this recipe is to die for. So fresh and colourful, so much better than the sweet syrupy ones you can buy. Yes, Sharon - I think that's actually where I got mine. Thanks ladies, I too heard you can get them at Bed Bath and Beyond. I've been making this for the past two weeks since I first tasted Kathy's recipe. It's yummy and a nice change. I added a bit of cumin to this recipe (1/2 tsp.) You'll come back for more quaranteed. Mouth is watering - will have to try this! older model of 'Nicer Dicer'. Have 1 and have given several as presents. Google it - several places sell it. Oh boy that looks so colourful and delicious. What a great gadget you have there. I might have to try this recipe using my mandolin - might not be quite as nicely chopped but still taste good. Love that you roasted the corn to give that extra good flavour and I like Marg's idea of adding a titch of cumin! Kathy I have one of those gadgets as well - not sure where I got it though. I'd forgotten about it but will haul it out again soon now that you've reminded me of it. 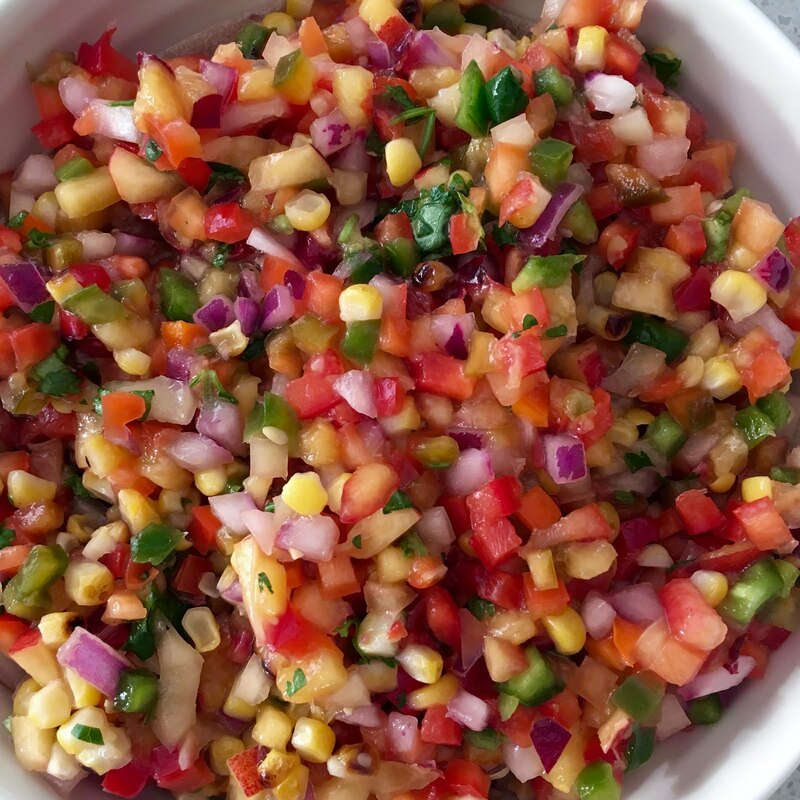 Your salsa looks so colourful and full of flavour!